Now that you’ve started your seeds and they’ve germinated you may encounter a few problems or diseases. There are all kinds of problems that can plague your little seedlings, dampening off, legginess, nutrient deficiencies, too much watering, not enough light, etc. Probably the most common problem when it comes to seed starting is legginess, or tall spindly seedlings. This is caused by lack of bright enough light. Make sure you PROVIDE YOUR SEEDLINGS WITH A STRONG LIGHT SOURCE. If you start your seedlings by a window you’ll notice that they grow longer and towards the window, they’re searching for light. When your seedling do this they’re using up energy growing tall and spindly, they won’t be as healthy as if they were given a good strong source of light. If you’re trying to grow seedlings indoors you just about have to provide an artificial light source. I try to start my seeds in flats on the front porch where they’ll get strong real sunlight or under some bright plants lights indoors. If you keep you seedlings under light make sure they’re close, within a few inches. Move the lights up as the seedlings grow taller. If your seedlings are getting enough light they’ll look strong and sturdy. One way to add more light without adding more lights is to add mirrors on the sides of your light table. I have mirrors leaned up against the wall behind my seedling shelf. Dampening off, is probably the most common disease when starting seeds. It’s a fungus that can attack the seeds as soon as they germinate or after the seedling has emerged. You will know this is what killed your seedlings when you notice dark spots on the stem right at the soil level and the seedling topples over and withers away. There are several ways to help prevent dampening off, the main one being DON’T OVER WATER. This is the most common mistake when people try to grow houseplants and start seeds. Let the soil dry out before you water again, and don’t water too much at once. I have read that watering with chamomile tea helps, but I haven’t tried this personally. Another way to help reduce the risk of dampening off is to PROVIDE AIR MOVEMENT. I have a small fan that I use in my indoor my seed starting area. If I have the plants outside I make sure they’re in a place where they’ll get a breeze. You may also have issues with nutrient deficiencies depending on the type of starting medium you use. I usually mix in some Dr. Earth Organic Starter Fertilizer in with my seed starting mix. If you notice the leaves on your plants turning purple (with the exception of some tomatoes whose leaves are slightly purple naturally) or if you notice the leaves turning yellow or the seedlings languishing you’ve mostly likely got a case of nutritional deficiency on your hands. If the leaves are purple then you’ll need to add some phosphorus. If you notice the leaves turning yellow and the seedlings not growing much you most likely have a nitrogen deficiency. Seedlings are tiny plants, they won’t be able to handle a full-strength dose of fertilizer otherwise you’ll burn the little plants. Make sure you USE HALF STRENGTH FERTILIZER when feeding your tiny plants. I’d recommend trying a balanced fish/seaweed emulsion that’s easy to mix up at half strength (Organic Neptune’s Harvest Fish & Seaweed Fertilizer comes highly recommended by many I know). Also if you have them outside do not foliar feed in mid afternoon when they’ll be getting sun, that can also burn plants. 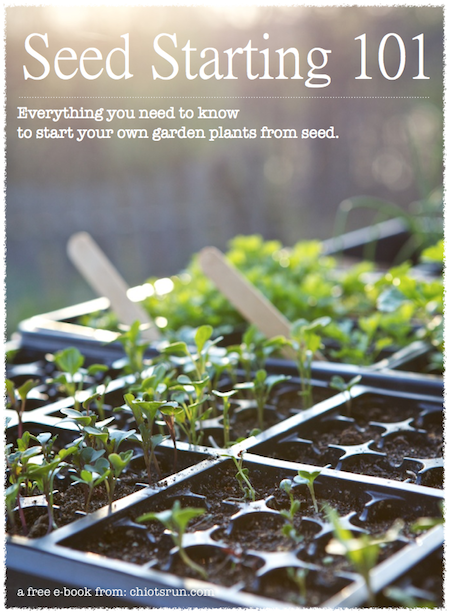 There’s a host of things that can cause your seed starting efforts to fail. Starting seeds too early, temperature fluctuations, too much water, too little water, too much fertilizer, not enough fertilizer, all these things can cause poor germination or the death of seedlings. It may take you a while or a few lost trays before you to get it right, but once you do you’ll know exactly what to look for and how to deal with these problems. You’ll know how often to water and when and how to fertilize and pretty soon you’ll be starting flats and flats without any problems! What diseases and problems have you had problems with when starting seeds? Visit my Amazon store to see what seed starting supplies I like. Just a note, If you use the seed starting mixes which are soiless you will not encounter dampening off. You use soil less mixtures to prevent seed starting or growing by cutting diseases. I have been a horticulturist for 25 years and learned this the hard way. The seed starting mixes are worth the money. Or you can make your own no soil mixture. .-= Barbara´s last blog ..PICS OF SOME OF MY FARM ANIMALS =-. I’ve had the damping off problems too. I think what Barbara says is true but you also have to make sure you start with clean containers – I don’t always do that and wind up finding damping off. Sometimes being lazy isn’t a good idea! When I do get damping off I’ve found that a fungicidal soap works well and I definitely use the fan technique. Using the fan is also a great way to build strength in the little seedlings! .-= Dave´s last blog ..My Front Porch Garden Design Project Part 1 =-. Although I did not start the tomatoes seedlings I have, but picked them up at the nursery to give this a try, I noticed they are getting leggy. I have been taking them outside for the day now that temps are in the upper 70s and it is sunny. This seems to help, but a month ago I would have had problems, since I could not have taken them outside. I can see how a grow light would really help. .-= Sense of Home´s last blog ..Local Food =-. Thanks for the idea of using mirrors. That’s a fabulous tip! Also, how often do you use fish emulsion on your seedlings? I’ve used it once, but they are about 3 weeks old and I’m wondering if I should use it again? One tomato plant is looking a bit yellow. Prior to germination, I water with a spray bottle to keep the top of the soil moist, but once the seed has germinated, I try to water only from the bottom by adding water to the tray. It seems to help prevent the dampening off and hopefully is causing the seedling’s roots to grow down and strong. I didn’t use a fan this year, but I kept the window cracked next to my seedlings and our constant breeze did the job. It’s easy to get discouraged when starting seeds (they can be a bit fickle it seems), but I encourage anyone reading this not to give up. Each year it gets easier and more successful – and when it does, it’s SO WORTH IT! 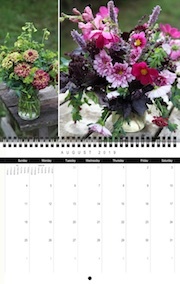 .-= Amy @ Homestead Revival´s last blog ..Organizing Seeds and Planting Records =-. I’ve read that you should water with fertilizer every 8-10 days (since it’s diluted to at least half strength). I prefer to mix the fertilizer in with the soil then I don’t have to remember to water with the fertilizer. It is easy to get discouraged, but once to figure everything out it gets much easier! Thanks. I’ll fertilize them tomorrow. I put out tomato seedlings one spring and the next day they had been mowed down. I was devastated. I’m still seeking therapy to help me get over the loss. Great information on the nutrient deficiency. my thyme this year and last has purpled (but only my thyme, interestingly). Does thyme have a particular need for phosphorous? .-= Sara´s last blog ..New Forays with Chives =-. I don’t think thyme has any particular needs for phosphorus, but maybe if you clip a lot of it to use in the kitchen it needs more because of regrowth. I’ve had an issue with my starts the last two years that I can’t figure out. They all start doing really great and have their secondary leaves and then I get a bunch of what looks like fruit flys flying around and all my seedlings die after a week. There’s white spots on the top of the soil when this happens. Last year I lost everything and it was so late I had to go and by plants. I’m keeping my seedlings in a diffrent area of my house where there’s not a door that opens to the outside. But I’m still worried. Any ideas what was going on or how to fight it? I use the soilless seed starter in Newspaper Pots with Grow lights. Most likely this is a fungus or mold caused by too much water, or watering too frequently. You might be able to stop the cycle by allowing the soil to dry out more in between waterings and by running small fan on the seedlings. The little gnats are most likely fungus gnats, they don’t really hurt the plants. They come in the potting soil. You can microwave the soil to kill the larvae. I’ve read you can also cover the soil with a layer of sand which is supposed to help. Letting the soil dry out in between waterings also helps with the gnat problem. This is one of the reasons I mix up my own potting mix, I have found that I have much less trouble with gnats, mold & fungus when I use my own homemade mix! my soilless mix appears to have tiny little gnat like bugs emerging from it. They seem to inhabit onions,leeks, which are now dying. Any ideas?How can I get rid of these little pain in the a…..s? Too much water, let the soil dry out.